It’s hard to believe but Season 5 (yes Season 5!!!!) of Scandal just ended. Sometime during Season 1 my girls and I began getting together on Thursday nights to watch Scandal. In sickness and health, marriage and divorce, and several moves we STILL get together nearly every Thursday night to watch and catch up with each other. 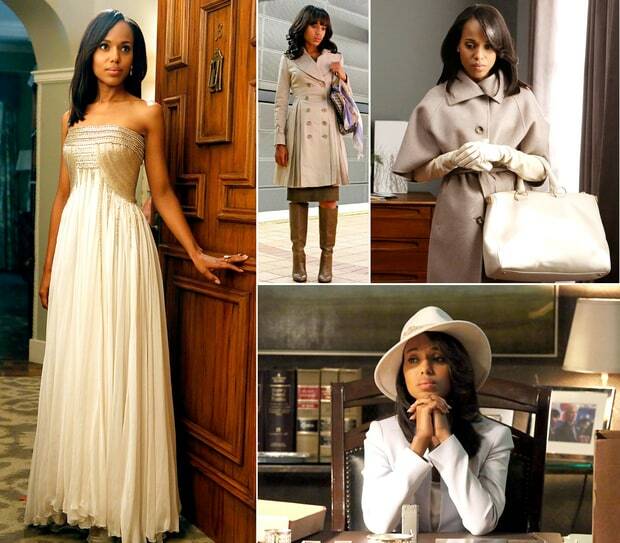 We may have our bumps in the road of life but they’re nothing compared to what Miss Olivia Pope has going on. Between her cuckoo parents, the love triangle between Jake and Fitz and her career keeping the gladiators afloat – we’ve got lots to keep us coming back week after week. And let’s not forget her outfits. Even when the story line gets a bit convoluted (remember Season 4 and the whole kidnaping thing???) her outfits keep us coming back. She has the best coats and bags ever. As far as we’re concerned the show is back on track and we can’t wait to see what comes from the unholy alliance between Olivia and Mellie as they work together on Mellie’s presidential campaign. President has affair. First Lady and President separate. President moves girlfriend in. Girlfriend can’t take the pressures of being First Lady and moves out. Former First Lady decides to run for President. Girlfriend signs on to run her campaign. What the wha???? With story lines like that, it’s no surprise that a typical Scandal night involves wine. My Thursday ritual involves a stop at my local wine shop where I’m greeted with, “How ya doin’ this week? It must be Scandal night, right?” as I pick up a bottle (or two) of wine for our girl’s night. You can’t have wine (well you could) without snacks and usually it’s SkinnyPop Popcorn. Our go to flavors are Original or Sea Salt & Pepper. I’m a Sauvignon Blanc drinker while the other girls like Chardonnay. 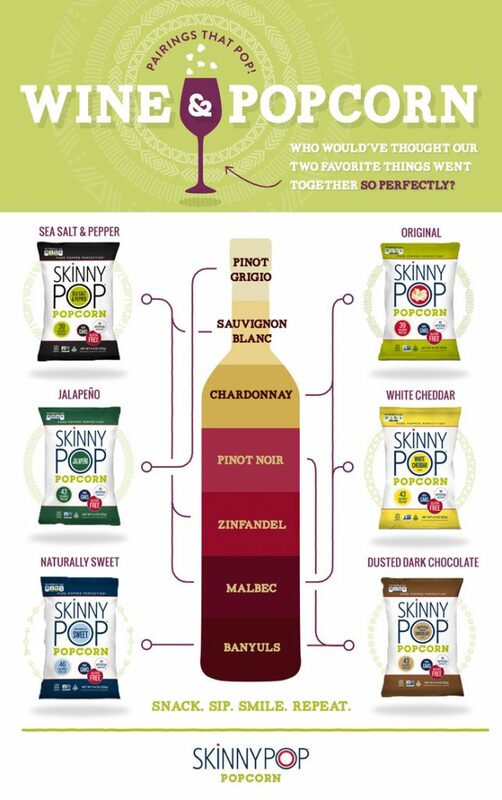 Am thankful that the folks at SkinnyPop sent over this neat wine pairing chart. Am relieved to know that we’ve been drinking the right wine with our popcorn. Whew! Season 6 will be here soon and we’ll resume our weekly girl’s night. Till then- here’s to Scandal, pop corn and wine!